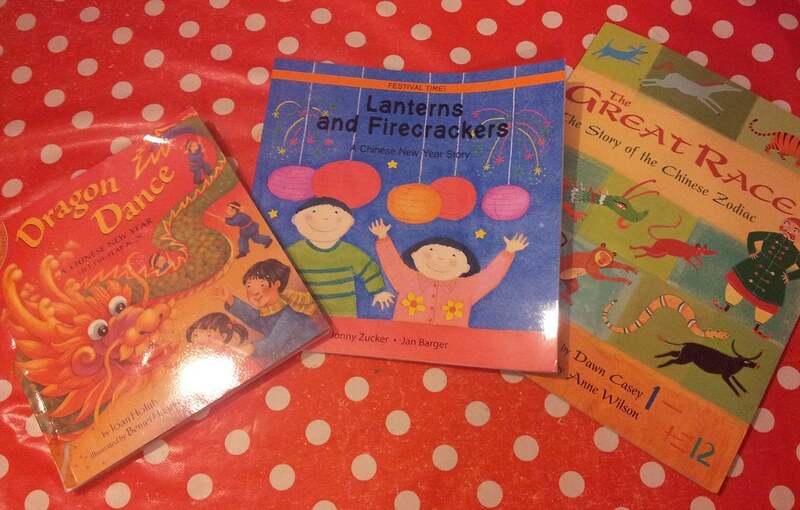 We have been reading books about the Chinese New Year. We enjoy the story of “The Great Race“. It is one of several different stories to explain how the twelve animals were chosen for the Chinese Calendar. I can remember my Headteacher reading it to us in assembly in school. This year, it is the Year of the Snake. 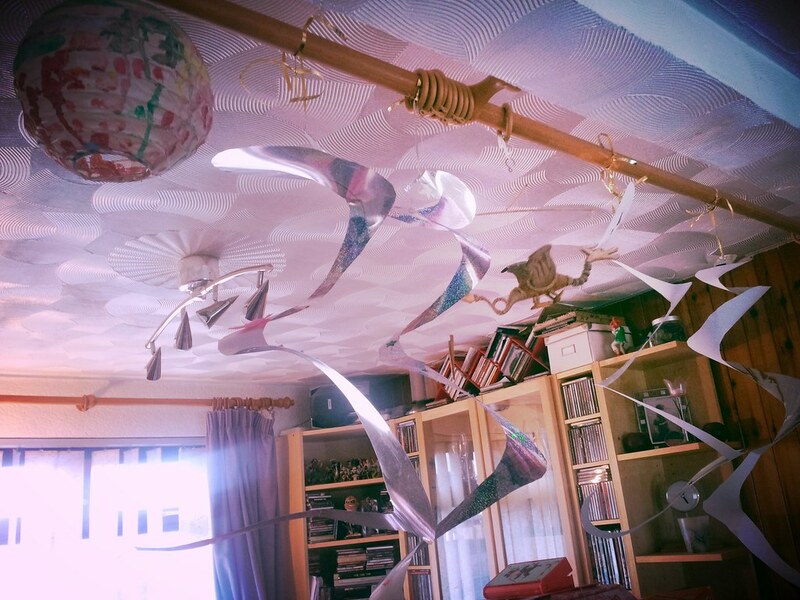 Therefore, we decided to make Hanging Spiral Snakes. They’re super easy and quick to make which is my ideal sort of craft! 1. 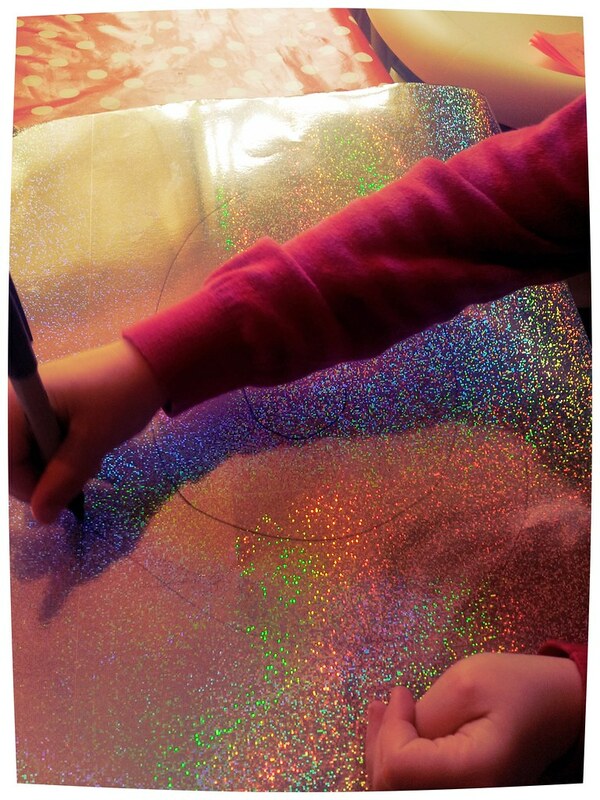 Draw a large spiral on a piece of paper. 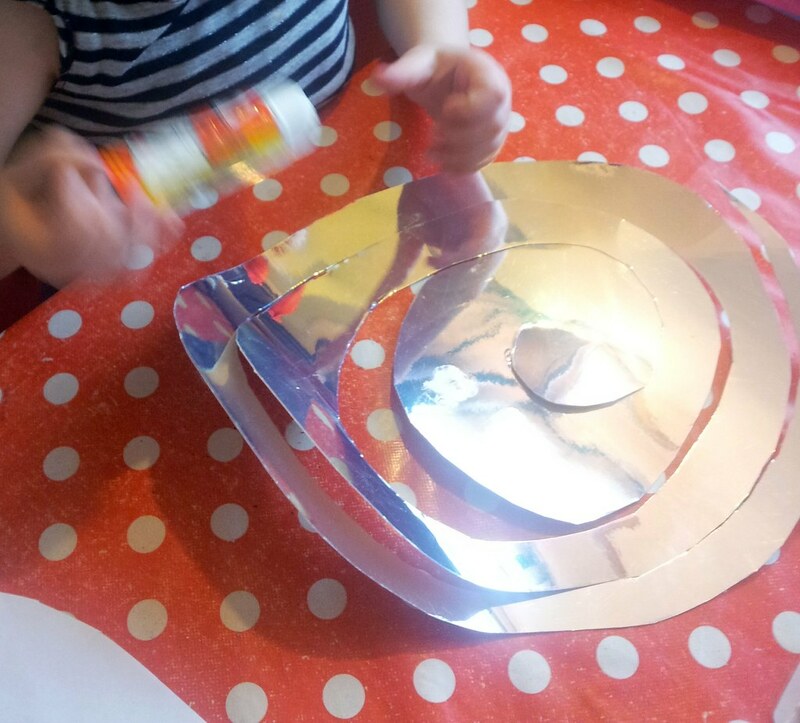 We used A3 Shiny Cardboard. You can use whatever size and type of paper you like. We have used white A4 paper in the past and coloured them in. 2. Carefully cut out your spiral. 3. Apply glue to your snake. We stuck on eyes and a tongue. 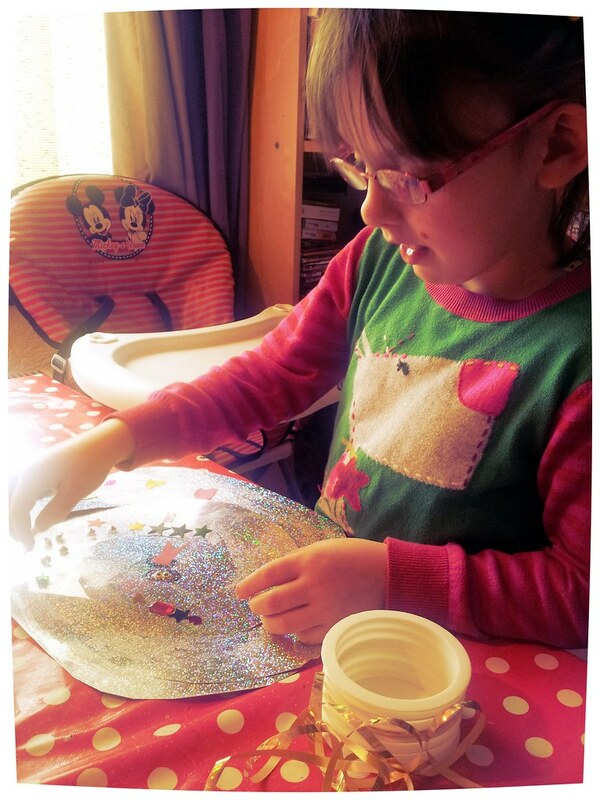 We then stuck stars and shapes on. You could stick on strips of paper for stripes, triangles for scales, or colour the snake in. 5. Make a hole and thread string or ribbon to hang snake. 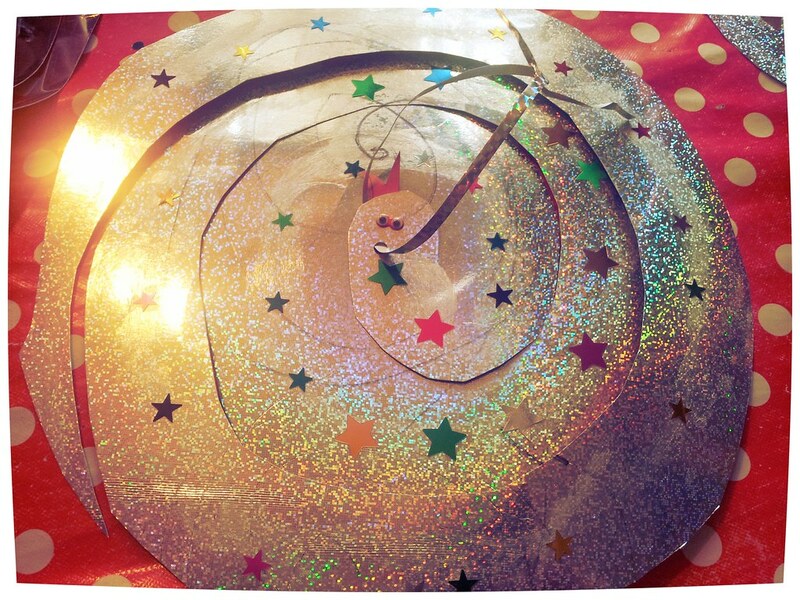 I used a hole punch to make the hole in the centre of our spiral snake. I then threaded some silver ribbon through. 6. Hang them up and admire! Izzy loves our sparkly snakes! They really catch the sunlight! 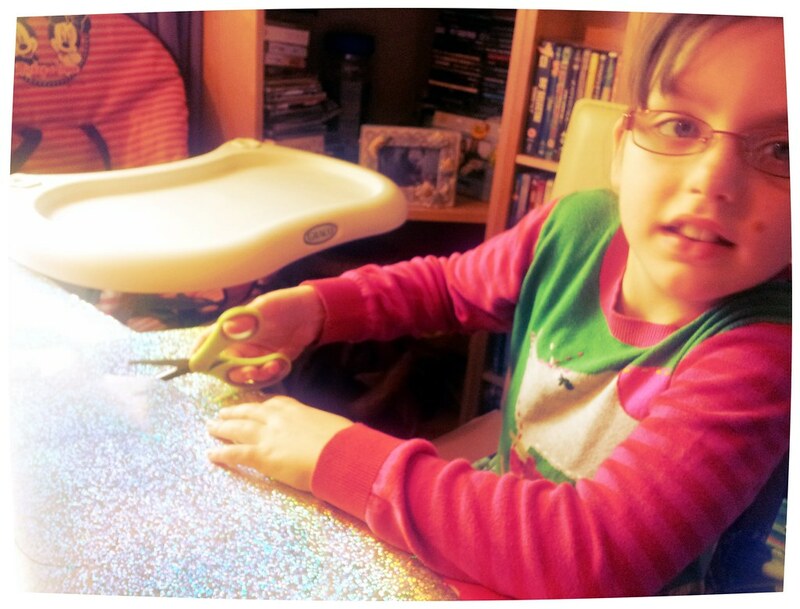 What Chinese New Year crafts have you been enjoying? 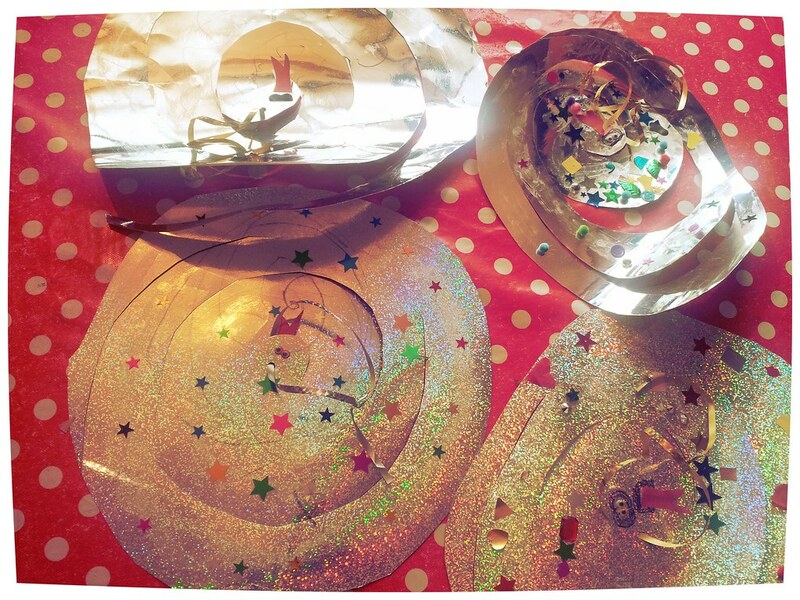 Have you seen our other Chinese New Year Crafts?